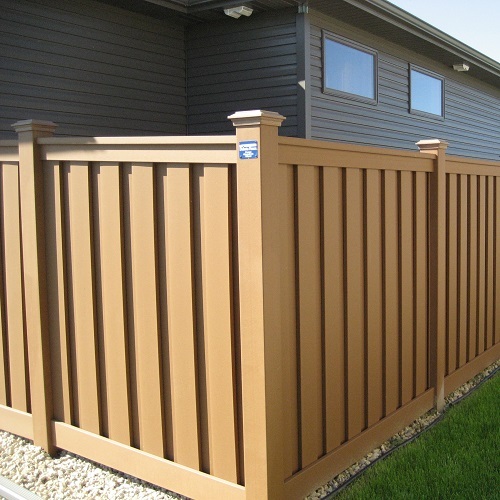 Personal aesthetics are an important element in deciding the color of your Trex fence. Consider carefully which color best matches your sensibilities. Here are some examples and ideas for color selection. 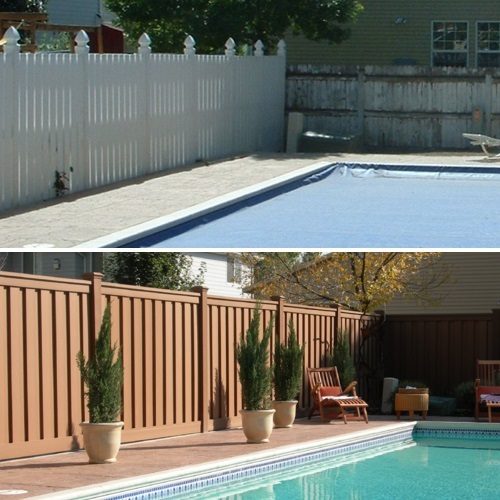 Saddle fencing fades from a dark tan to light tan. 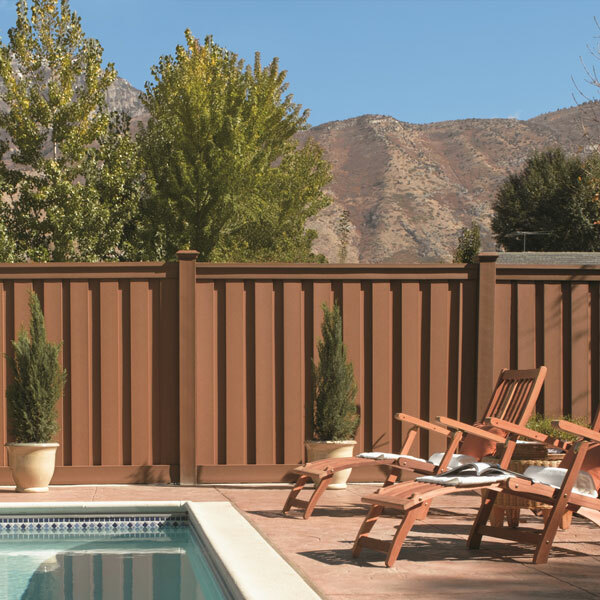 It is popular on properties that emphasize earth tones or is used to resemble a natural stain of a wood fence. 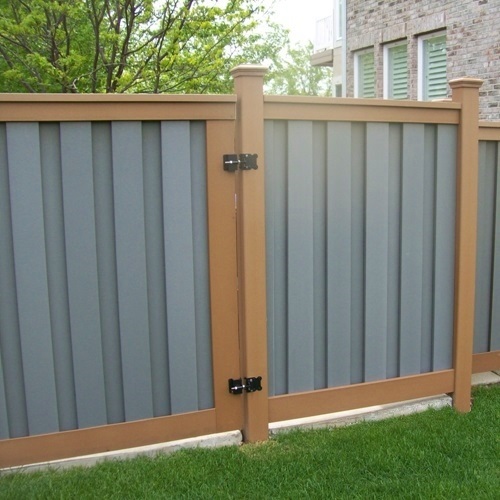 Winchester Grey fencing will be a noticeably different color when new (typically a brownish/green color) and will weather to its intended color of light grey. Because it has a brownish color when new, it can be mistaken as Woodland Brown at first glance. Winchester Grey is a popular color when combined with a white accent. It can compliment natural colors in brick or masonry, and can be attractive when used in modern urban design. 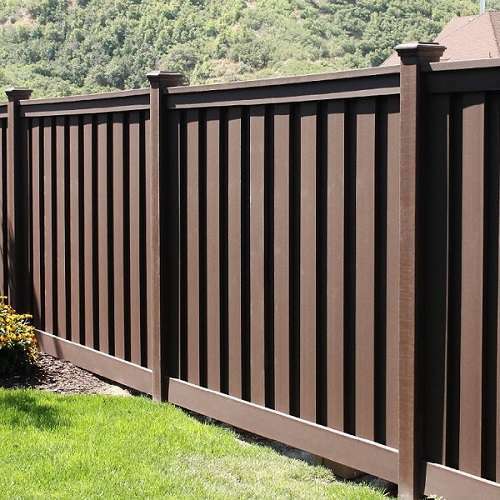 Woodland Brown is the darkest Trex fencing color. It is a dark brown. Woodland Brown fades the least from its new color. It is often popular as a contrast to lighter colors on the property. Color Weathering. The time and degree of the weathering process depends on exposure to UV light. 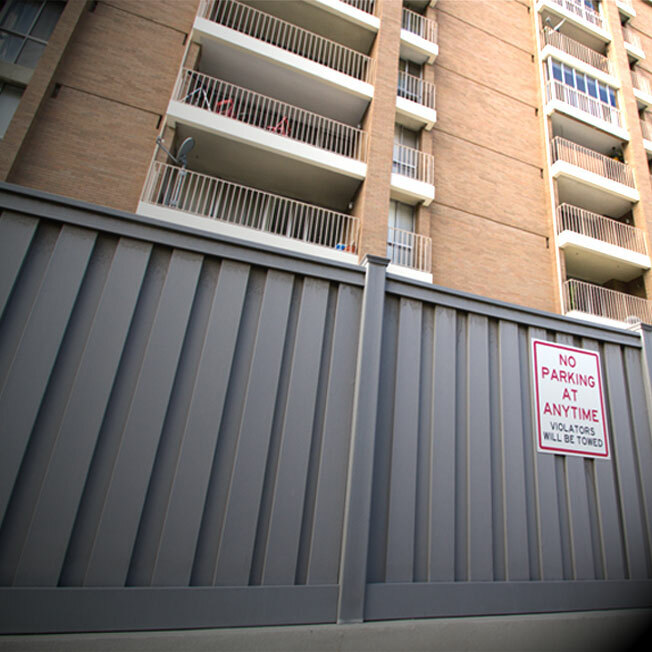 Fencing that has less exposure to sunlight may take longer to fade.  Due to the nature and process of producing composite materials it should be expected that color variation between Trex Composite Fencing components may occur and in some cases may be significant. 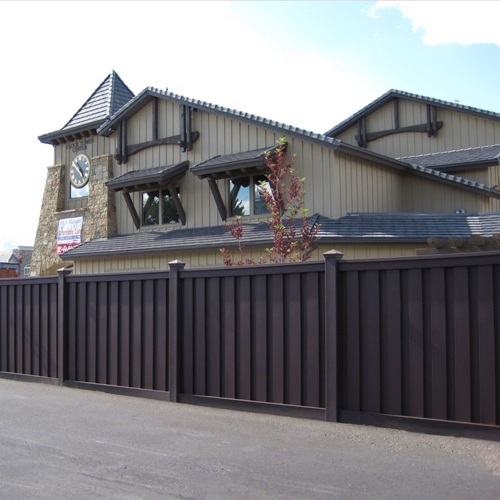 Trex Fencing is produced from a variety of recycled plastic and wood fibers that may absorb pigments differently. Color variation does not affect the integrity of the product. Variation may be more pronounced with Saddle and Winchester Grey. The colorization process during manufacturing deliberately over-pigments the product to ensure the final weathered color is achieved when it has faded. 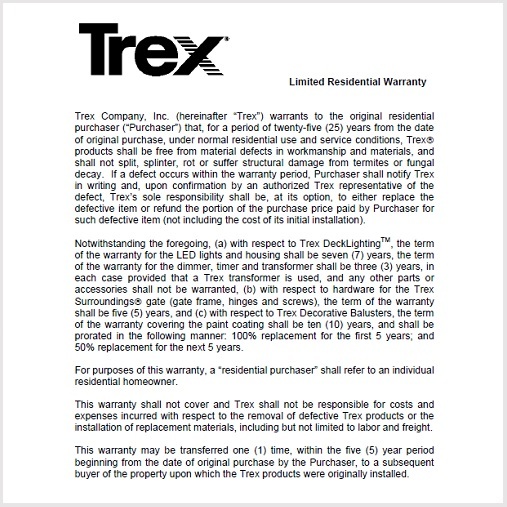 All three colors of Trex Fencing will lighten over time and some of the color variation may become less noticeable. However, weathering will not eliminate all variation. 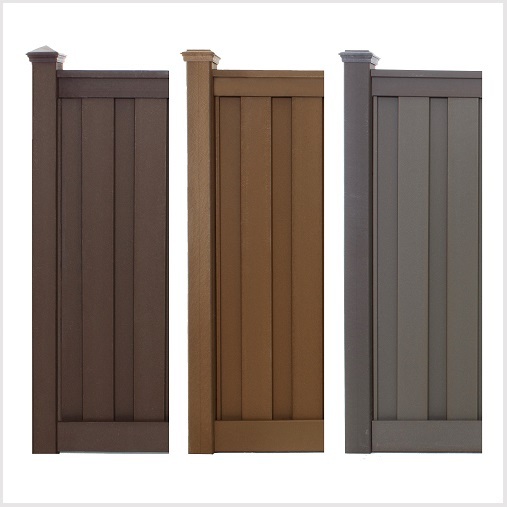 To minimize the appearance of the variation, extra care should be taken to install similarly pigmented pickets within a given lot code close together, where possible.